Bonham/Bonham/Jones; Cobain; Cobain/Grohl/Novose; Cobain/Novoselic; Ledbetter. Very Good. In very good packaging. 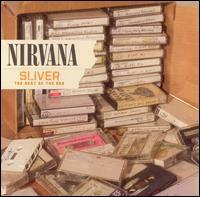 Nirvana-Sliver: The Best Of The Box by Nirvana.